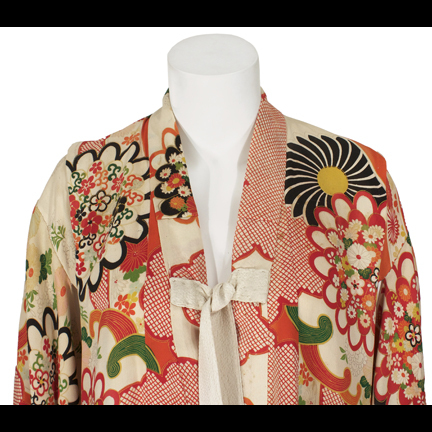 This Japanese kimono was worn by the character “Joan Jett” portrayed by actress Kristen Stewart in the 2010 motion picture “The Runaways”. 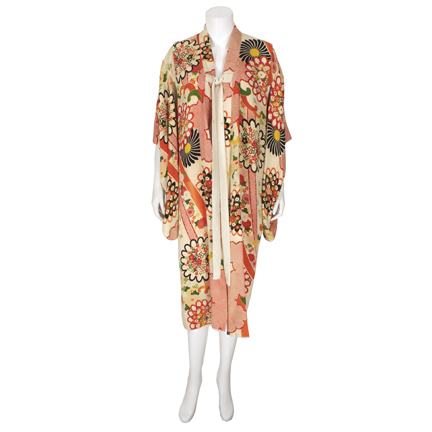 The floor length vintage kimono is constructed of a multicolored floral pattern silk with interior peach lining and white ribbon tie at the neckline. 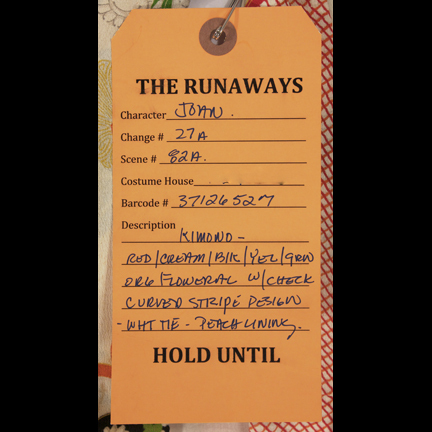 The original costumer’s Hold tag is attached listing character name “Joan” with garment description and assorted production notes. 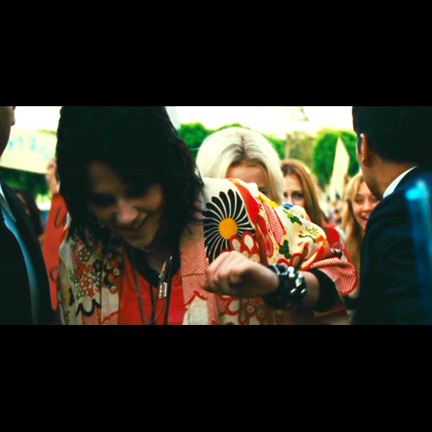 Ms. Stewart wore the kimono during the sequence when she and her fellow members of “The Runaways” first arrive in Japan and are greeted by screaming fans and security guards as they attempt to exit their limousines. 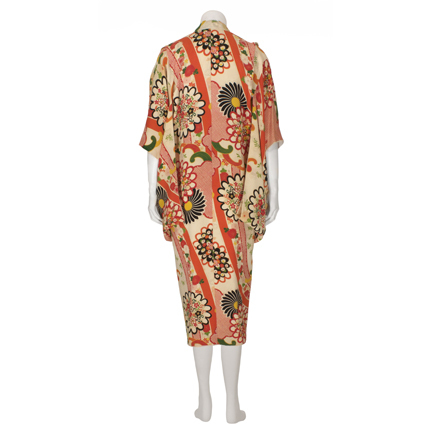 “The Runaways” was based on the true story of the groundbreaking all-girl rock group produced by Kim Fowley in the 1970’s, whose members included Joan Jett, Lita Ford, Sandy West, and Cherie Curry. The film was nominated for an MTV Award and Kristen Stewart received a Teen Choice Award nomination for Choice Movie Actress (Drama) for her performance in the film. 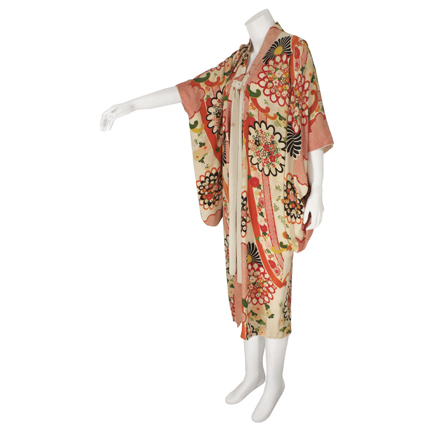 The garment is in good vintage screen worn condition and is accompanied by a letter of authenticity from the costume house that provided it for use on the production.